In all of extant fifth-century Greek literature, authors use the terms philosophos, philosopheô, and philosophia half a dozen times. Those uses serve as so many camerae obscurae onto Greek intellectual history. Squeezing through those lexical pinpricks are dense and brilliant tableaux of investigations, debates, and practical norms. The pinpricks themselves trace the wide-swinging pens of popular historiographers, speech writers, and medical apologists. But pinpricks have no permanence; they simply pull the paper’s weave apart. The pulp might flatten again, sealing the holes. Terms disappear, favor slipping from them onto others, an SLR replacing an outmoded technology. Such fate could have befallen philosophos terms. Little suggests that by the late fifth century philosophos had become a flashy buzzword, or that the idea of philosophia had restructured the zeitgeist, or even that core elements of Greek life could be picked out by no word other than philosophein. The term remained rare and un-hip; and the Greeks already had a vast range of terms for intellectual practices. Let us count among them σοφιστής, φροντιστής, σοφὸς ἀνήρ, Aristophanes’ μεριμνοφροντισταί, and the great variety of names connected to study of ta meteora: μετεωροσοφισταί, μετεωροφένακες, μετεωρόσκοποι, and μετεωρόλογοι. Other terms specifically named the working limbs of the philosophos person: rhetorical address (λογογράφος, λογοποιός, λογοδαίδαλος), debate (ἀντιλογικός), and structured conversation (διαλεκτικός). Some addressed research (ἵστωρ), teaching (διδάσκολος), and studying (μαθητής); and these could easily have undergone generalization. All this is to say, philosophos-group terms had a tenuous grip on the Greek linguistic corpus. We know that parallel vocabulary toppled out, like the compound promêtheia, which had dozens of attestations into the fourth century in morally salient and gnomically memorable contexts, but after Plato, no other Classical or Hellenistic author used the term. Perhaps it got displaced by phronêsis, perhaps by another term of practical intellection; whichever it was, a phenomenon shucked its old carapace. The term philosophia might have been eking its callow life on weak soil, since its early if unwitting benefactors, the Pythagoreans, would soon lose their coherence as a community and network, and their influence on later thinkers become attenuated. 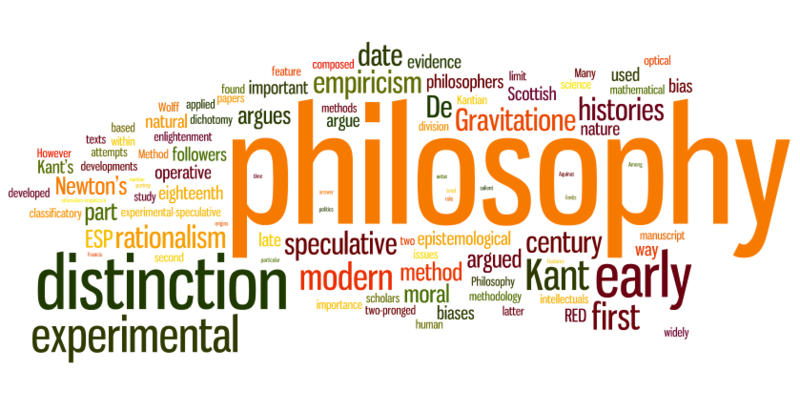 Charting the rise of “philosophy” falls short when it accounts simply for the term’s coinage and identifies the first hands among which it circulated. It must account also for its minting as a region’s stable currency, one to which the Greeks pegged other conceptions of intellectual life. We must ask what made “philosophy” a gold standard – long-lived, malleable, attractive, obvious, and rare enough for appreciation but not so scarce as to lack liquidity. Of the many answers we might hypothesize for the perdurance of philosophos-group terms, one relies on the richest vein of evidence. That evidence’s availability should not obscure, of course, the likelihood that this answer merely adds an inferior part to the total explanatory amalgam. Our answer must not be taken as the mother lode, or our assaying tools as all and only those that fit our belt. Yet the hypothesized answer, and the evidence adduced in its support, appear plausible nevertheless. I point to late fifth-century Athens and the nexus of Anaxagoras and Socrates. Doxographers called Anaxagoras the first person to philosophize in Athens. Some intriguing near-contemporaneous evidence suggests that they might have hit on the literal truth. Fifth-century Athenians probably did say that he “philosophized,” perhaps using the word first for him, and said this either while he still lived or in the immediately following decades. Even were Anaxagoras not the first in Athens to be said to “philosophize,” his associates and followers, the so-called Anaxagoreans, remain likely candidates. Historians of philosophy have generally not noticed this, perhaps strained enough by the tasks of sorting his chronology and unwinding his cosmological fragments. Had they noticed, the apparent triviality of the award, “first to be said to ‘philosophize,’” would ensure a dismissive silence about it. Yet I argue that it is not so trivial. The naming matters. It matters a bit for Anaxagoras. 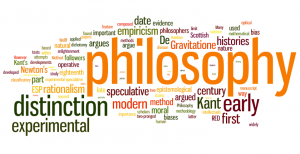 It matters much more for the later history of philosophy. We know that Socrates got mixed up with these Anaxagoreans who were said to be philosophoi. It is probably in large part from them that the name philosophos came to be applied to him; and then with the infamy of his execution, let us say – appliquéd. Socrates had already attracted to himself the most powerful thought-leaders and writers of his day. They – but not only they – kept the terminology in public view. The details of the fourth-century formulation of philosophia as a self-conscious discipline, with its Socratic and admittedly non-Socratic currents, form a fascinating story. For now we stick to the fifth century. Diogenes Laertius says that a twenty-year old Anaxagoras “started to philosophize” (ἤρξατο δὲ φιλοσοφεῖν) in Athens at the time of the archon Callias (456 BCE). He attributes this dating to Demetrius of Phalerum. He probably attributes the action to Demetrius as well. Demetrius writes with detail elsewhere about Anaxagoras, and surely synchronizes Callias’ archon-date with some event. So our first evidence for Anaxagoras’ philosophizing comes a century after his death. I have translated the phrase ἤρξατο δὲ φιλοσοφεῖν as “started to philosophize.” The long-standing Loeb translation of Diogenes Laertius has “began to study philosophy at Athens” (tr. Hicks). This does not make good sense of Diogenes’ words. 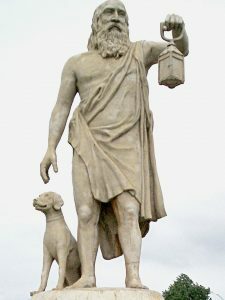 Diogenes says that Anaxagoras studied with Anaximenes of Miletus. Thus a better gloss on those three words is that Anaxagoras started doing philosophy in Athens in 456, either once he arrived in Athens or when he began the activities that counted as philosophizing. Those three words could also imply that Anaxagoras inaugurated philosophizing in Athens. Admittedly, Diogenes does not exactly say that here. In the biography following Anaxagoras’, he notes that Archelaus, from “Athens or Miletus, [was] student of Anaxagoras, teacher of Socrates. He was the first to bring natural philosophy from Ionia to Athens (οὖτος πρῶτος ἐκ τῆς Ἰωνίας τὴν φυσικὴν φιλοσοφίαν μετήγαγεν Ἀθήναζε).” Grammatically, the οὖτος refers to Archelaus; but Diogenes must have made a mistake here. Diogenes’ contemporary Clement of Alexandria writes that Anaximenes preceded “Anaxagoras [who] brought what he did from Ionia to Athens (οὗτος μετήγαγεν ἀπὸ τῆς Ἰωνίας Ἁθήναζε τὴν διατριβήν).” A late summary of another source contemporary to Diogenes asserts that Anaxagoras left Miletus for Athens and inspired Archelaus, the first Athenian to become a philosopher. Putting this together, Diogenes must actually believe that Anaxagoras was the first to philosophize in Athens – he names no others –and that Archelaus was the first Athenian citizen to philosophize in Athens. Demetrius apparently agrees, at least in Diogenes’ eyes. Demetrius seems also to say that great envy nearly brought great peril to Anaxagoras. Post-Hellenistic authors record an accusation of impiety. Plutarch says that a fifth-century Athenian (and seer) named Diopeithes sought to criminalize heaven-theory teaching and non-recognition of the gods. He specifically targeted Anaxagoras, and did so to implicate his friend Pericles. Pericles sent Anaxagoras away from Athens for his own safety. The reliability of this episode has come under considerable question. Doubt accrues from the lack of fifth-century evidence, confusion in later centuries, and the similarity to Socrates’ trial. Diogenes Laertius records four conflicting accounts. In one, Cleon indicts Anaxagoras for the impious belief that the sun is a burning metal; Pericles’ legal defense saves Anaxagoras at the cost of a heavy fine and exile. In another, Pericles does little more than bring an illness-stricken Anaxagoras into court for pity to acquit his client. In a third, Pericles’ opponent Thucydides (not the historian) indicts Anaxagoras with both impiety and Persian sympathies; a jury sentences him to death. In the last, while Anaxagoras awaits execution, Pericles proves to his audience’s satisfaction that the good feelings they get from him depend on his tutelage from Anaxagoras, and so gets Anaxagoras released, but then a despondent Anaxagoras commits suicide. Other authors lack even these tumbledown details. Yet utter skepticism seems misplaced. Socrates’ contemporaries themselves presented wildly dissimilar accounts of his trial, but we doubt nothing about the trial’s existence or basic purport. We might hardly expect that the written record for Anaxagoras’ accusations, blurred by the fog of pre-war, spun by the partisans and detractors of intriguing Pericles, would avoid a similar fate. The disagreements between the accounts should not worry us. Threatened or actual sentences of execution might resolve into quasi-involuntary exile. Anaxagoras obviously did leave his home of two or three decades, and an accusation, trial, or conviction is an eminently plausible explanation. I have played up two issues: the label of “first philosophizer” in Athens affixed to Anaxagoras, and Anaxagoras’ exile in connection with impiety and Pericles. Now I mention a third: Socrates’ connection to Anaxagoras. We have no evidence that Socrates ever met or spent time with Anaxagoras. If Anaxagoras left Athens in the early 430s, as many scholars controversially but reasonably hold, then Socrates could have met him in his twenties and early thirties. But Plato’s Phaedo has Socrates saying that he learned about Anaxagoras’ basic ideas from someone else, and that he acquired the details of those ideas from a book, and that he eventually rejected those ideas without seeking or receiving a defense by Anaxagoras. All this speaks to the absence of a personal connection. We might see instead an indirect connection. Diogenes cites various sources stating that Socrates studied with Archelaus. Ion of Chios says that a young Socrates traveled with Archelaus to Samos. Since Ion lived ca. 490–421, the existence of this report suggests the public relevance of Socrates and his association with an Anaxagorean. Socrates may also have studied with Damon, the music-teacher notably in Pericles’ and Anaxagoras’ orbit. Admittedly these accounts of indirect connections between Anaxagoras and Socrates – the latter read and spent time with the associates of the other – lack texture or weight. But we have received merely the ethereal membranes emanating from the substantial original connections, the ones that led the Athenians, by Socrates’ death or shortly thereafter, to associate the thinkers. We know them to be there from Plato and Xenophon. Both defend Socrates against the impression that he was Anaxagoras’ doppelgänger or follower. I will show how those defenses describe that impression. Along the way we will see that the two defenses reveal surprising features of Anaxagoras’ views, which most commentators have overlooked in their focus on his metaphysical and physical system. 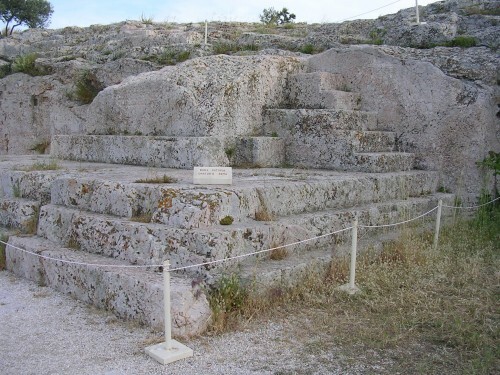 These features help explain Anaxagoras’ carrying the “philosophy” torch across the Aegean Sea. In Plato’s Apology, Meletus claims that Socrates believes in no gods. Socrates queries this: does he not agree with everyone in believing that the sun and the moon are gods? Meletus says no: Socrates, he asserts, claims the sun to be a stone, the moon to be earth. Socrates retorts that this is Anaxagoras’ view, whose books are full of these statements. He adds that the Anaxagorean provenance of the claims is so well known that, were he to claim them for his own, he would be ridiculed even by the young. Anyway, Socrates concludes, this view of the sun and moon is really bizarre. In Plato’s Phaedo, the dramatically-later dialogue, Socrates clarifies his relation to Anaxagoras. 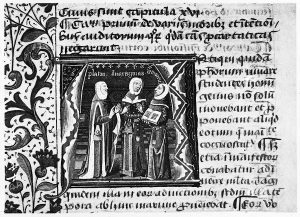 He tells Cebes that when he was young he desired the sophia that people call research into nature (περὶ φύσεως ἱστορίαν). This “young Socrates” might be almost any age between fifteen to forty (to pick an arbitrary span), putting us anywhere from 449–424 BC, the year before Aristophanes’ Clouds and a few years before Ion’s probable date of death. According to Socrates, the research his youthful incarnation followed concerned the causes of being and perishing, and appealed for explanatory resources to the four elements and the opposites. Socrates’ particular interest concerned the causes of thought. Socrates wondered, for example, whether we think by means of blood, or by air, by fire. This looks like the work of Empedocles and those of his ilk, perhaps Diogenes of Apollonia and Heraclitus. He soon discovered the view that the brain explains cognitive activity, in particular the processes from perception to memory to opinion and stable knowledge. This encephalocentrism suggests the work of Alcmaeon. Socrates repeats that he finds this cognitive inquiry part of the same inquiry that studies “the heavens and earth.” Yet the “method” he followed to understand change and growth – and thus, presumably, all activity – led him into relentless paradoxes. One day, however, he heard a man reading from a book he claimed to be Anaxagoras’, with the thesis that “mind is the organizer and cause of everything.” This is exactly what Socrates wanted to hear. Yet this thesis was not enough by itself. If Anaxagoras accepted Socrates’ assumption that mind organizes all for the best, Anaxagoras would have to go on to explain how all is organized for the best, including, for example, the shape of the Earth and its position among the other bodies in the solar system. So Socrates read Anaxagoras’ books. The details of Anaxagoras’ ideas must not have been universally known. Having found them out, Socrates found himself sorely disappointed. Anaxagoras appealed to the usual sorts of causes for the order of things, such as air, ether, and water, seeming to give no thought to decisions about what’s good. It is the latter that Socrates wanted to know about; in illustration, he points to the alternative ways to explain his sitting down and being in prison. While Socrates does not explicitly repudiate Anaxagoras, he suggests he decided to take a route diverging from his followers. So much for Plato. Now to Xenophon. When explaining Socrates’ curricular ideas in Memorabilia Four, Xenophon describes Socrates’ warnings against studying the “heavens” (τῶν οὐρανίων, 4.7.6). Anaxagoras is Socrates’ case study. Socrates thinks Anaxagoras held implausible views and went out of his mind (παρεφρόνησεν) especially in thinking so highly of his explanation of divine celestial mechanisms (τὰς τῶν θεῶν μηχανάς). Xenophon substantiates Socrates’ charge of craziness by lending his own voice to a critique of Anaxagoras. He submits the view that the sun is fire or a fiery stone to a rampage of paradoxes. We soon see that Anaxagoras’ inquiries not only yield the ridiculous; they also fall short of the sublime. Cosmological discoveries exceed human grasp, and eyeing that cookie jar displeases the gods. Xenophon anticipated these charges much earlier, in Memorabilia One, when, explaining Socrates’ freedom from charges of impiety, he denies that Socrates jumped on the investigatory bandwagon. Unlike many others, he did not talk about “the nature of everything.” Nor did he investigate the state of what the sophistai call “the kosmos,” nor even by what laws each thing in “the heavens” comes about. Xenophon commends Socrates’ investigative reticence: human matters should not be neglected, and apparently the reach of cosmic inquiry assures that neglect. Plato’s and Xenophon’s defenses of Socrates trace the shape of Anaxagoras’ reputation. His fame appears to have ridden a lone devilish horse, the reduction of the sun to a fiery stone and the moon to a singular clod of dirt. Even Meletus, who hangs his political ambition on something quite other than intellectual sophistication, has heard the thesis, even if he know it as exclusively Anaxagoras’. Xenophon has the thesis ready to hand, reporting it in two ways. The thesis probably garnered such fame thanks to its condescension to our dearest celestial bodies, and the unsettling plausibility that they really are not gods but that such demotion bespeaks a scary precedent. It also has a jingly polar quality – “the sun is fire, the moon is earth” – akin to the “things in the sky and below the earth” tag; it could become shorthand for his purported atheism. Yet if Anaxagoras wrote “books,” as Plato twice affirms, he must have had many other views. Obviously he did. In the Phaedo, the explanation-hungry Socrates mentions the material composition of neither the sun nor the moon. Anaxagoras’ notorious view may, for the public, stand in for the rest of his views, but it does not exhaust them. 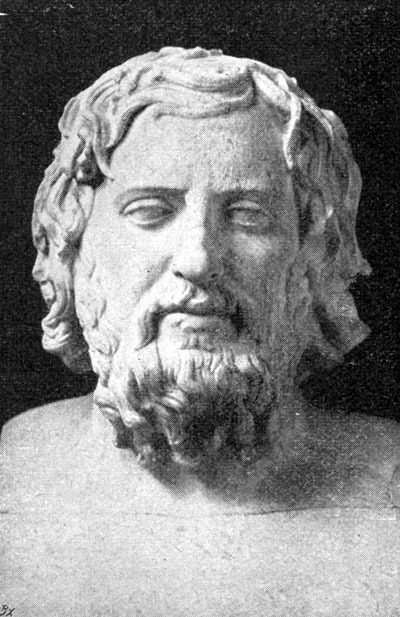 For Xenophon, Anaxagoras belongs in a category of people who concern themselves with the nature of everything, especially its organization (kosmos), processes, and origins. (These people may not all be sophistai, whom Xenophon explicitly makes responsible only for the word kosmos itself.) Xenophon names Anaxagoras merely as an exemplary member of this category. For Plato, by contrast, Anaxagoras both continues the naturalistic tradition and distinguishes himself from it. While Xenophon speaks of naturalism as concerned about “everything” (τῶν πάντων), he glosses this as a concern for the divine realm, the kosmos, “the heavens”: in short, astronomy or cosmology. Plato makes clearer that within “everything” goes biology, psychology, and cognition. 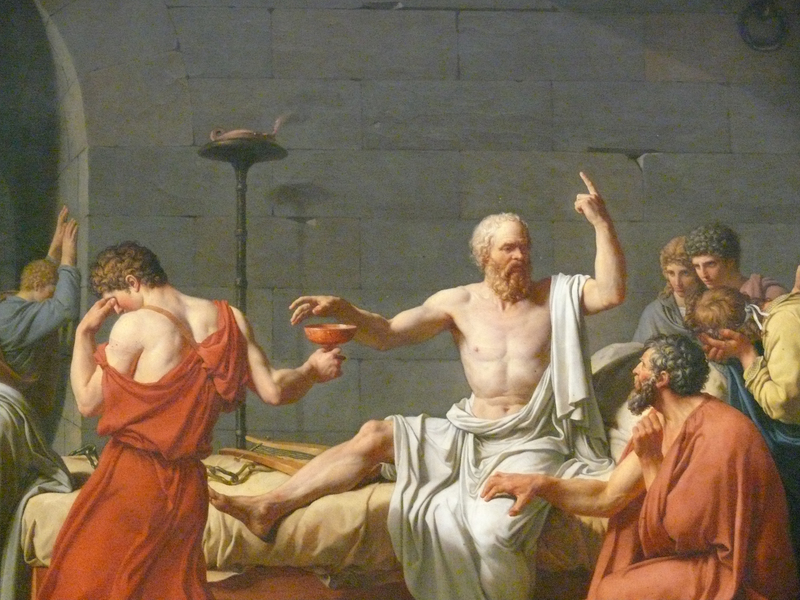 In these debates Socrates explored questions about the physiological basis of thought. In fact, Socrates’ questions may have come from those heated debates. Unfortunately he finds in that heated debate only ashes, nothing with motivating or explanatory vigor. Thus he shifts his hopes to a theory that puts “mind” as its heart, Anaxagoras’ unique contribution. We might think that Socrates would look to Anaxagoras first for a theory of mind, moral psychology, or epistemology, to salve the burn he received from the earlier naturalists. He does not. He says he would begin with the shape and position of the earth, and the reasons for these, and would continue with the movements of the heavenly bodies, and their reasons. Have Socrates’ interests changed? Or does he think that naturalistic explanation begins at the macro-level and proceeds to the micro-level? Or that what holds for the heavenly bodies thereby holds for humans? His ensuing remarks leave these questions open. He “likens” Anaxagoras to “somebody who” explains Socrates’ presence in jail by appeal to the position of his muscles and bones rather than to judgments by the Athenian jurors and by Socrates himself. He formulates in the optative an Anaxagorean explanation for talking, in terms of “sounds, air, and hearables.” So it is not clear whether Socrates saw in Anaxagoras’ work an explanation for human behavior, thought, or conversation. Nevertheless, probably he did. Socrates likens Anaxagoras to a person arguing about Socrates because obviously Anaxagoras did not speak of Socrates himself or of sitting in jail. Socrates certainly does not say that Anaxagoras avoided the topic of the human altogether. Anaxagoras surely said something about the relationship between cosmic and human mind, even if Socrates found it quite inadequate. Plus, Socrates does not say that Anaxagoras forewent the concerns of his predecessors, only that he swapped in Nous as the power forward. So Anxagoras would also have taken up human questions, including those of psychology and cognition. In what we learn from later testimony about Anaxagoras’ elemental stuffs, out of which all things are composed, they seem well-suited for explaining living organisms. And by speaking of “mind” as a basic constituent of the world distinct from other principles, Anaxagoras may have presented himself as at least attentive to consciousness, human purpose, the nature of the divine, and the normative. Even if he did not, however, Socrates found explanations of the solar system somehow relevant to the questions he admitted he really had, like those about human intention and their political consequences. So Socrates, following both Anaxagoras and the solidifying naturalist program, saw a powerful integration in what we might call “theories of everything,” a mutual imbrication of cosmology and anthropology. Both Xenophon and Plato discuss Anaxagoras specifically and at some length. For Xenophon, he is the only physicist mentioned in the whole of the Memorabilia. For Plato, he is the main physicist explicitly named in the Apology and the Phaedo, the most apologetic of dialogues. This suggests that Anaxagoras must have been the dominant historic thinker from whom to distinguish Socrates, perhaps more even than Gorgias, Prodicus, or Protagoras. This suggests that Socrates might readily be confused with Anaxagoras, and that both Xenophon and Plato worried about the muddling effects of such confusion. 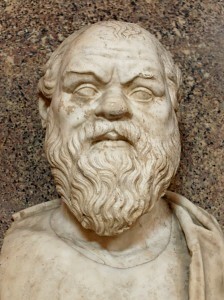 Socrates expressed interest in natural philosophy. But even if he never did natural philosophy, he certainly inquired into mind and human action; and it looks as though Anaxagoras did as well. As we have seen, Anaxagoras left Athens in fumes of suspicion. No mere head-in-the-clouds theorist, he must have been seen as a menace to society. His pernicious world-theory challenged religious views, and he had the ear of leading politicians. Anaxagorasokratês. This paper is about the sluices the name philosophos took from the fifth to the fourth century. I am offering as a candidate the channel of popular association between Anaxagoras and Socrates. The sluice has heretofore sat empty. Now I open the gates and let instances of the word philosophos flow through. Both Plato and Xenophon present Socrates as burdened by the slanderous attribution of traits characterizing so-called philosophoi. In Plato’s Apology, Socrates presents his prosecutors’ predecessors, the “old accusers.” They supposedly said that “there is some Socrates, a wise man, a thinker about the things in the sky and investigator of everything below the earth, who makes the worse claim better.” These accusers classify him as a type of investigator. Socrates adds that such investigators are thought not to believe in gods. A page later he repeats the accusation with a change. He replaces “a wise man” with “doing injustice and meddling with things.” He does not say whether wrongdoing and interference is thought to grow from the noxious soil of investigation and dialectical practice or to have contaminated Socrates from the outside of that work. Probably it is the former. Socrates seems to hear in the charge of “wise man” (sophos anêr) a pejorative gloss on the concrete accusations of investigation and dialectical practice, whose pejorativity he spells out as wrongdoing and meddling. “Wise men” give advice and expect it to be taken. Giving compelling advice counts as meddling; and if the advice is bad, or self-interested, or otherwise non-traditional, it counts as unjust as well. Socrates denies the charge of sophos anêr, as an imputation of injustice, but he readily identifies a real sophos anêr, in Callias, Athens’ wealthiest man and sharer in the name of the archon of 456. Socrates does not impute injustice to Callias; he observes instead that Callias buys lessons more profligately than anyone else, and from the biggest names: Gorgias, Prodicus, and Hippias. He means that if anyone should both be and want to be reputed wise, it is this Callias who tries so hard to accumulate and display that wisdom. Obviously the meaning of an assertion of sophos anêr depends on the the speaker’s purpose in uttering those words. Meaning depends on purpose because the Greeks equivocated on the word sophos. We see this when Socrates narrates his examination of the confounding and counterintuitive Delphic judgment about his superlative sophia. Equivocation is the solution. Socrates both is and is not sophos. He lacks sophia in lacking knowledge about “the greatest matters” (ta megista), a competence to act perfectly in any situation, a competence appropriate only to gods. He possesses sophia in recognizing that he lacks that perfect competence. These two uses of sophia do not differ categorically; Socrates’ recognition of his ignorance allows him to avoid acting with false confidence, and this increases the likelihood he will act correctly in any situation. Still they differ, if only in degree and in the salience of self-awareness for the concept. Surely a two-track view of sophia does not originate in Socrates. The very fact that people could use sophos anêr as an imprecation shows they think it means “seems but is not actually sophos.” Socrates has simply shown that Delphic oracle, unlike his accusers, means not to demean him. Making sense of the attributions of sophos required that Socrates examine his fellow citizens. This lowered his already low approval-ratings. At least it did among the adults he tested, those who thought themselves wise. The young, among them the children of the supposedly wise or their children’s friends, loved his examinations and his stock grew for them. But this bubble only caused him more problems. The tenor of the accusations turned harsh. Now people say that Socrates is “a terrible person and corrupts the youth.” From these people come his present accusers, Meleteus, Anytus, and Lycon. But these people can point to no specific teaching or action that would account for his wreaking terror or corruption. Presumably this is because Socrates has simply refuted them in conversation and inspired others to do so too. Yet they want to justify their aspersions. Accordingly, as Socrates puts it, “they say the things ready at hand against (κατά) all those who philosophize”; these include the catchphrases “ta meteora and the things below the earth,” “not believing in gods,” and “making the worse claim better.” The triple fact that, as Socrates formulates it, the first catchphrase lacks a verb and thereby leaves uncertain what unholy action philosophers are supposed to take toward the high and the low, the second catchphrase fails the test of religious specificity, and the third catchphrase notoriously sinks into ambiguity shows that these are in fact catchphrases, not concrete and defensible charges. Thus by 399, according to Plato, some people in Athens were said to “philosophize.” Popular understanding of these people was weak, vague, and condemnatory. They were at once defined and abused by their commitments to cosmology and tactical rhetoric, as well as to a resulting heterodox theology. These commitments were taken as corrosively influential on the children of the most highly-reputed Athenian citizens – and thus on the upcoming leadership class. They were taken as politically poisonous. Of course, the purposes of these philosophoi, their methods, and their numerical extent registered little on the public mind. The Athenians had at most those three points of reference, enough to draw a plane figure, but too few for a solid body. This two-dimensional conception of the philosophos must have been milled through the heavy rollers of a local, memorable, and ongoing situation. Athenians could recall features of that important conception, but not with the precision they would have in an emergent social crisis. Thus the conception’s thinness becomes razor thin, and the resultant keenness judged so dangerous as to merit a capital trial. Might this conception of philosophoi originate with Anaxagoras, with the causes of his exile, and with the associated thinkers, including Archelaus and the Periclean circle – who remained in Athens? The evidence from Xenophon – and actually from Plato too – might seem to require that we answer “No” to the question whether the Athenian conception of the philosophoi originated around Anaxagoras. “Philosophy” is associated by Xenophon solely with teaching the art of words; he does not here mention naturalist investigation or atheism. Similarly, Plato emphasizes “making the weaker claim stronger.” The evidence reviewed above does not associate Anaxagoras with teaching the art of words. No recent scholarship on Anaxagoras so associates him. A red herring? In fact, I think not. A combination of two pieces of evidence, from Thucydides and from Plato’s Phaedrus, suggest re-picturing Anaxagoras. In his funeral oration, Pericles acknowledges that Athenians “philosophize” (φιλοσοφοῦμεν), just as they “love beauty” (φιλοκαλοῦμέν), but without weakness or prodigality. Pericles uses these words, otherwise absent from the History, only to qualify and then gloss or redeem them. This suggests that Pericles is defending the Athenians – or himself, or those around him – against an accusation of detrimental “beauty-loving” and “philosophizing.” I have argued elsewhere that Pericles glosses “philosophizing” as debating politically-salient issues ahead of emergencies. He continually emphasizes that, far from comprising spans of aimless jabbering and from yielding only impractical abstractions, this kind of discussion prepares the citizenry to act well when it is called on to do so. This defense of Athenian “philosophizing” as a source of insightful civic courage implies that the word does connote lots of talking. For Pericles specifically it means effective persuasive talking: that is, deliberation. This is not surprising. Pericles lauds Athenian freedom of speech and embodies its strength in rhetorical ingenuity. We can put this observation alongside the point in Plato’s Phaedrus where Socrates claims that Pericles studied with Anaxagoras. He alloys Anaxagoras’ research interests to Pericles’ political goals. Socrates starts by treating Pericles as a person who understands the nature of the art of rhetoric, and thus the content of the lessons for knowledgeable rhetoricians. Indeed, he says, Pericles may be “the most perfect in rhetoric of anyone.” For evidence Socrates points not to Pericles’ oratorical or legislative and strategic successes but to his ongoing preparation and education. Each skill has its own content, but greatness in any skill requires freewheeling (ἀδολεσχίας) and cosmological (μετεωρολογίας) talk about nature. Anaxagoras filled Pericles up with that cosmological talk and taught him the nature of mind and its absence. From this Pericles drew what applies to the art of speech. The relevance of cosmology to rhetoric Socrates describes through an analogy to medicine. In medicine, one sorts through a nature (διελέσθαι φύσιν), namely of a body, to bring about health. So too in rhetoric, where one sorts through the nature of a soul, to bring about beneficial belief and virtue. And just as in medicine knowing the nature of the body takes knowing the nature of the whole, apparently to understand the world’s effect on it (per On Ancient Medicine), so too knowing the nature of the soul takes knowing the nature of the whole: apparently to understand the ways it is persuaded. Socrates’ remarks suggest two constructions of Anaxagorean rhetorical pedagogy. Call the first way the way of content. Anaxagoras taught Pericles about ta meteora and nous and anoia. Together his curriculum comprises the world of nature and the world of human belief. The successful persuader knows everything natural and conventional. In the way of content, Anaxagoras does not teach anything specifically rhetorical; rhetoric’s need for everything else transforms all teachers into teachers of rhetoric. The best teacher is eo ipso the best teacher of rhetoric. The way of content, understood this way, merges speedily onto the superhighway of total context, a very long road indeed. A more urbane route might be traveled if Anaxagoras taught not everything but only those aspects of nature pertinent to political debate. Anaxagoras might include the nature of the weather, engineering, navigation, and geology – all topics of great moment for political decision-making then as now – and of human intention, emotion, and necessity. An even dinkier pathway would have Anaxagoras teach only meteorology, a true solvent for seized-up debates about mantic forecasting. Plutarch, for one, imagines having met Anaxagoras on this narrower path of disenchantment. He writes that Anaxagoras vanquished superstition from Pericles’ mind, especially about meteorological phenomena, leading Pericles to take up “that unshaken piety that is attended by good hopes.” Public speakers could have trouble with doom-and-gloomers. Plutarch also writes that when Pericles received a ram’s head with a single horn, his friend Lampon interpreted it as a portent about the leadership of Athens, but Anaxagoras opened it up and gave a physical rather than political explanation for the ovine abnormality. A tradition independent of Plutarch calls Anaxagoras a prognosticator, surely referring to his successful meteorological and climatological predictions. Call the second construction of Anaxagorean rhetorical pedagogy the way of theory. 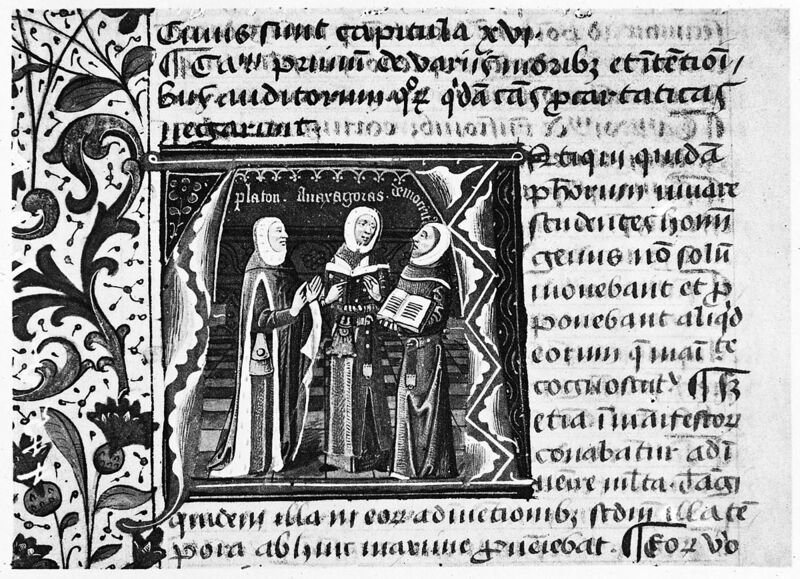 Anaxagoras would be showing Pericles a method of inquiry freed of the traditional strictures. Thus the importance of adoleschia – freewheeling and un-self-conscious conversation – and the study both of mind and its absence. Pericles might learn or infer that he ought not restrict himself to learning tropes, studying set texts, or absorbing policy briefings, the “content” of the rhetorical art. He should think about his audiences in their cosmic situation. They are active and passive, physical and noetic, imperfect but improvable. Here Anaxagoras helps Pericles ascend the ranks of rhetoric not by telling him how the world works but by getting him to value thinking about how the world works. Xenophon’s Athenians connect philosophoi with those whom they vaguely suspect of teaching the art of words. Plato’s Athenians connect philosophoi with those who both investigate the world and make weaker arguments stronger. Plato’s Socrates claims that Anaxagoras, who investigates the world, in a roundabout way also teaches the art of words. This suggests that Anaxagoras may have been called a philosophos in the years before Socrates’ death. The Thucydidean passage now has additional relevance. We have already mentioned the stories that set Pericles as spokesman for Anaxagoras in his defense against a charge of impiety. Probably this defense occurred in the early- to mid-430s, only a few years before the Funeral Oration. Indeed some suppose that Anaxagoras was indicted as a proxy for Pericles. However that may be, had Anaxagoras and perhaps others in his and Pericles’ circle been called a “philosopher,” we could explain Pericles’ having heard his neighbors or himself accused of “philosophizing.” This would give Pericles a reason to defend them (or himself) from that imputation, by accepting and reframing the claim. We might qualify the above argument by suggesting, as I did with Pythagoras and the Pythagoreans, that the term philosophoi may have applied initially, or as much, to so-called Anaxagoreans and others in his orbit. We know that they had serious cosmological interests. In Plato’s Cratylus, Socrates has the Anaxagoreans explain moonlight. Aristotle argues at some length against the Anaxagoreans’ view that the gallbladder causes acute disease. Others named as affiliates of Anaxagoras had literary interests, including Metrodorus of Lampsacus and potentially the author of the Derveni papyrus. According to Diogenes Laertius, Socrates’ teacher Archelaus discussed ethics, law, justice, and goodness. This ring of associates around Anaxagoras gives a larger target for the name philosophos to hit and to hold firm, to be picked up in the next round and hurled at the widening circle around him – now to include Socrates.